These programs are designed to build coordination, strength and endurance through a variety of exercises. Usually in circuit style Tabata (timed) trainings, kids will do a variety of movements which increase heart rate, tone, shape, and help sharpen their fast twitch fibers response time. Each Bootcamp is modified for the appropriate age level. A combination of cardio and weight training exercises that includes some of the rhythmic techniques used in Pilates. Pound includes exercises that involve alternate squatting and standing to strengthen the inner and outer thighs, buttocks, core muscles, and back muscles. Colorful, light-weight (1/4-lb) drumsticks called Ripstix add an element of fun to Pound classes while they help exercisers count out the length of time they hold certain positions. The practice of poses and observance of breath as a means to health and peace of mind. Yoga also teaches teens techniques for coping with the unique issues they’re faced with everyday—insecurity about their changing bodies, the enormous pressure to fit in, stressful schedules, and uncertainty about their beliefs and their futures. Indoor cycling where each bike has a weighted magnetic flywheel. Changing the gears, changes the resistance to simulate outdoor riding in a group fitness setting. Participants will focus on endurance, strength, speed intervals, high intensity power, and recovery. Zumba, which literally means “moving quickly and having fun” is the perfect way to incorporate exercise into kids‘ lives in a fun, easy way with multiple personal and social benefits. Additional benefits of Zumba Kids include: Easy-to-follow moves. Improves fitness. Improves coordination. Aqua Fitness is offered Monday through Friday at various times during the morning hours. Please see Fall Group Fitness Schedule for appropriate day and time of a particular class. Please note that our indoor pool is heated from 82-84 degrees Fahrenheit and is conducive for many senior aliments. Fitboxing with a heavy bag or sparing with one of our certified trainers will increase the efficiency of your cardiovascular system, as well as, help with eye-hand coordination, core enhancements, balance and reaction time responses. This class is great for all ages and fitness levels. Not only is it fun, but Fitness boxing has been cited to help Parkinson Patients. 45 Minute Circuit Style Class in which not only do you work to make your heart a better contractor, but strengthen all the muscles of the body using weights, bands and balls. This Class is offered Fridays 10:45 AM. 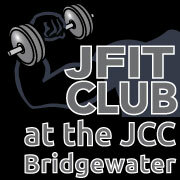 FREE to all our JCC Members. Purchase our Zumba Gold Package & Save! Fee: $175 for 13 weeks!